It was written by LadyAries on October 1st, 2014. I am using the beautiful art of Alex_Prihodko. And it can be purchased from Pics For Design. 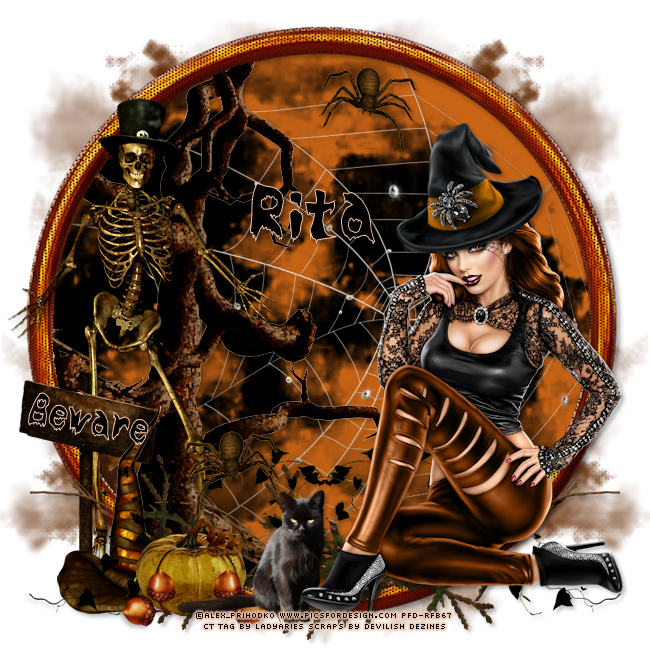 I am using the fantastic PTU kit "Hallowitch" by Devilish Dezines. And it can be purchased from Scraps N Company. 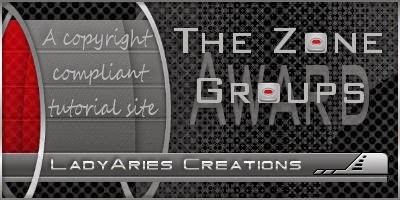 Frame4 resize 75 percent, copy & paste to the center of your tag. Activate your magic wand and click inside your frame layer, Selections modify expand by 10. Open a new raster layer and copy & paste element3, Drag this element up slightly so that the top of it is just above the marching ants. Selections, invert and then click delete. Over in your layers palette drag this layer under your frame and then duplicate & flip. Then move the original on top of the copy in your layers palette. Element23 resize 78 percent-mirror, copy & paste to the center of your tag. Use your eraser tool to remove any parts that may be sticking out. Element24 resize 80 percent. Activate your magic wand and click inside your frame layer, Selections modify expand by 10. Open a new raster layer copy & paste your element24 to the left side of your tag. Selections, invert and then click delete. Element50 resize 60 percent, copy & paste to the left side of your tag. Adjust, Sharpness, sharpen one time. Element37 resize 20 percent, copy & paste to the left side of your tag. Duplicate, mirror and move the copy to the top right side of your tag. Element10 resize 30 percent, copy & paste to the left side of your tag. Element34 resize 50 percent, copy & paste to the right side of your tag.Duplicate, mirror. Apply this element once more and move it to the bottom center of your frame. Element26 resize 30 percent, copy & paste to the left side of your tag. Element33 resize 45 percent, copy & paste to the right side of your tag. Duplicate, mirror. Element49 resize 18 percent, copy & paste to the left side of your tag. Element25 resize 8 percent, copy & paste to the left side of your tag. Duplicate, mirror & drag copy back to left side of tag. Element9 resize 25 percent, copy & paste to the bottom of your tag. Resize your tube 35 percent, copy & paste to the right side of your tag. Open new raster layer and send to the bottom, flood fill with #622901 and apply your mask & then merge group. Duplicate, mirror.